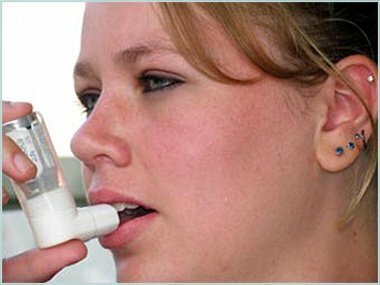 Asthma can strike any individual at anytime in their life. Smokers have a high chance of developing asthma at some point. 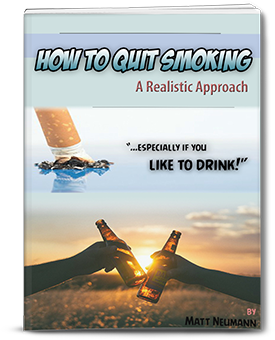 Inhaling cigarette smoke over and over all day long is bound to cause problems. If you’re a heavy smoker you should beware of the signs. People with allergies are also susceptible. 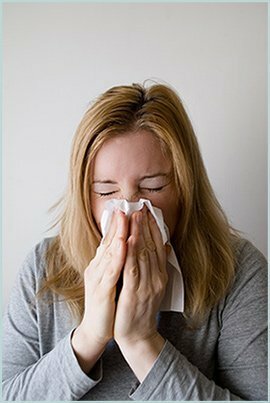 Allergies can flare-up during different seasons, and that’s when it may hit you the hardest. It’s not the end of the world, however, and it can be managed with great success. It’s just important to watch for the signs so you can take proper precaution. If you don’t, then things can be severe. Coughing at night – Asthma sufferers notice a slight increase in coughing during the night hours. It’s difficult to sleep. 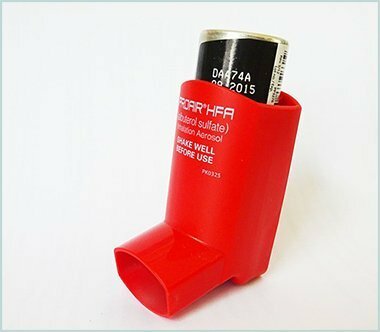 Most use an inhaler to open up their airways so they can sleep more comfortably. The morning might prove to be just as bad also, so take caution in that. Wheezing – When you exhale, you might feel (and hear) a frog in your throat. It’s sounds bubbly, almost watery. This is phlegm clogging up your lungs, and it’s trying to get out. An inhaler will help get rid of it. This doesn’t happen all the time, though, and it’s definitely triggered by your environment or actions. These symptoms of asthma may seem exactly like the symptoms of bronchitis except these appear periodically throughout the day. They aren’t 24/7. 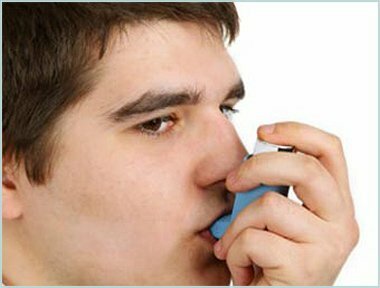 Shortness of breath – This precisely is what happens when you have an asthma attack. Your breaths get very short, and it can be quite scary. This is when an inhaler can be a life saver. Puffing on one will open up your lung’s airways, clearing out the junk that’s clogging them, and making it easier to breathe. 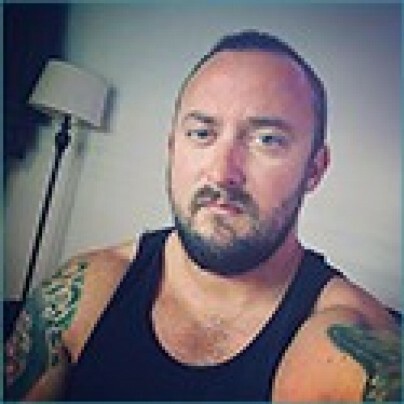 So What Causes These Attacks? Physical activity – Running, speed-walking, going to the gym, moving furniture, lifting heavy boxes, walking up and down stairs, etc. Cold temperatures – Doing any sort of intense physical activity in the middle of winter can spur an attack. Simply walking up a hill in the cold can do it. You must be careful in extreme cold temperatures. Some people move to warmer climates because they have problems with cold-induced asthma. I wouldn’t move to a colder climate. It can spur an attack even when you aren’t expecting it. You’ll regret it. Allergies – Pollen is a big trigger. Spring can be the worst time of year for someone suffering from breathing problems. I know I do. I hate spring just for that reason. As soon as trees and flowers start to bloom, my symptoms act up. Dust is another big one. You can have a flare-up if you are dusting your house, or moving stuff around that has been sitting for a few months and dust has collected over it. I hate moving because of this. I hate changing the litter box, because that creates a dust storm. Pet dander is bothersome for some people. If you have pets with long hair, it’s basically the same as dust. Hair gets everywhere, and it’s impossible to completely avoid. Air pollution – Smog can be a trigger as well. It all depends on the air quality of the city you live in. Cities with high populations are the worst, as they are more congested with people and cars and pollution. Los Angeles is known for its smog. If you have breathing problems, that is probably not the best place to live. Cities with paper mills are also not a good idea. You know those places where the air is crisp and refreshing? That’s where you want to live. It might not be that huge of a deal, but a flare-up is a big deal, and it’s best to avoid those all together if you can. In short, everything is triggered by your environment around you, and by physical activity. It’s not something that occurs all day long 24/7 like bronchitis or emphysema. That is the difference between them. This doesn’t happen to people that don’t have it. Again, it’s not the end of the world if you just recognize what’s going on and take proper precaution. Buy an inhaler, and keep it handy just in case you need it. You never know when an attack will strike. I keep one in my backpack at all times. I feel better knowing it’s there. But if you don’t take precaution, you might end up in a situation that could become quite serious. You don’t want to be stranded in the middle of nowhere and unable to do anything about it. It could turn out to be fatal. Be prepared, know the symptoms, and invest in an inhaler. You won’t regret it.